So, a couple of months after the fact, I am revisiting my travel blog and finishing up writing about the rest of the places I visited! Hope you enjoy. 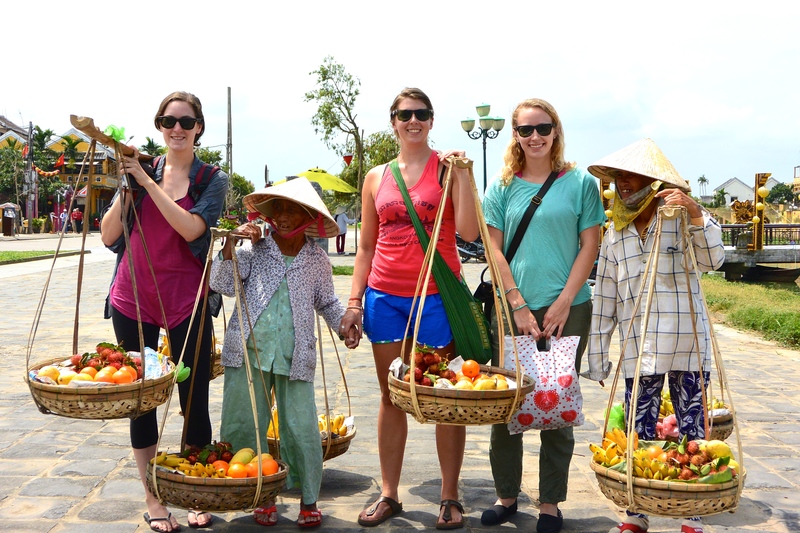 I loved Hoi An! After having spent so much time surrounded by high-rise buildings and in bustling cities, it was refreshing to be in a quieter place, surrounded by quaint, low-lying buildings. 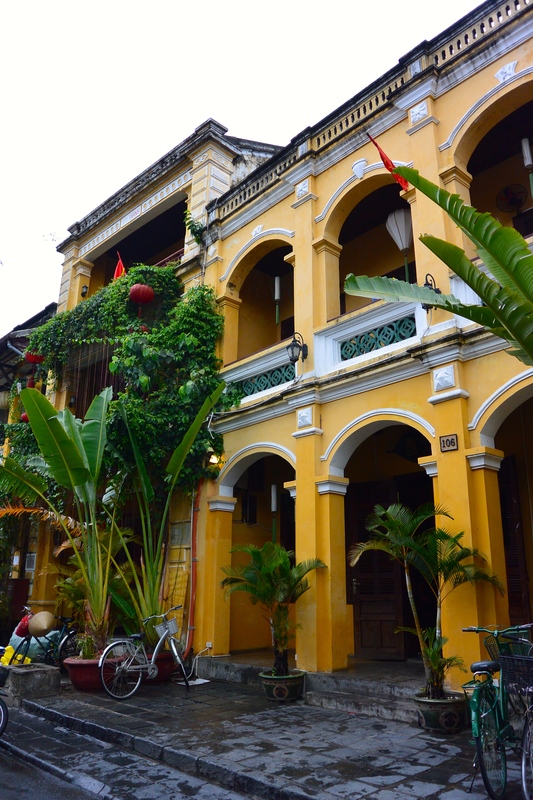 Sunflower Hotel was the most widely recommended accommodation in Hoi An, but as it was full we settled for the second best, Hoa Binh Hotel. After dropping our stuff off, we went to find some real breakfast (as the Ritz crackers and Oreos we had consumed on the bus didn’t really cut it.) 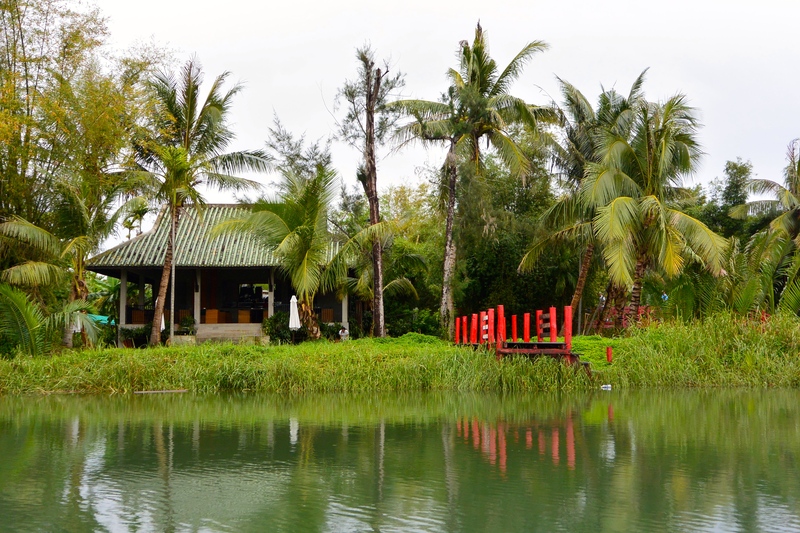 Also, we had just missed the included breakfast at Hoa Binh, (which we devoured the next day, and was one of the best included breakfasts we had at a hostel.) 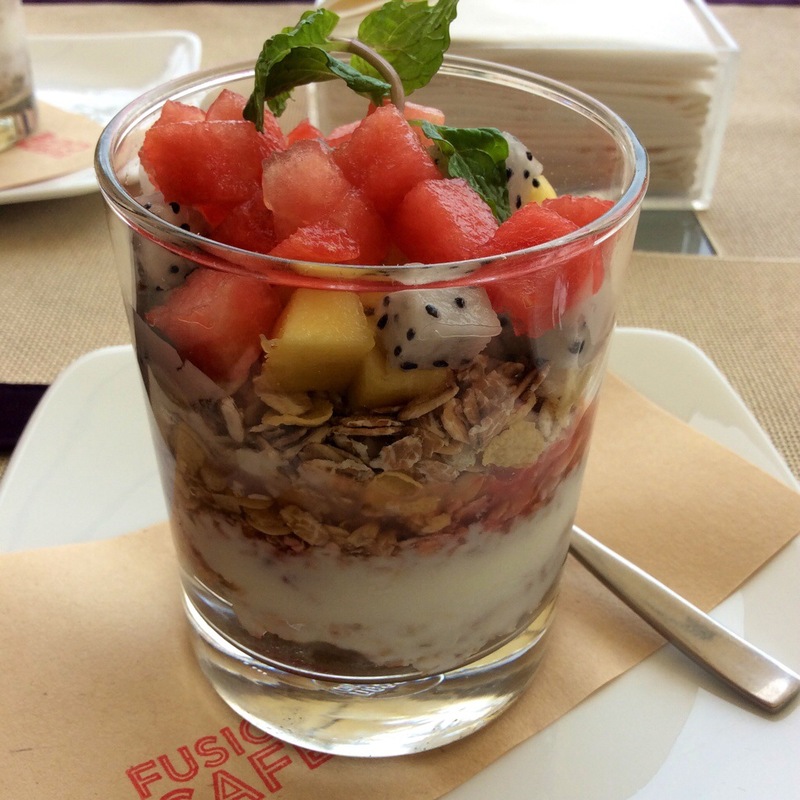 Upon our search elsewhere, we found ourselves the absolute best fruit, yogourt, and muesli dish at Fusion Cafe. When we returned on our last day in Hoi An, we enjoyed some live music with our muesli! While we were happy to have some items made at places we found by walking around, we wanted to make sure that the suits we had made would be high quality. On the recommendation of my godmother Mary, we hightailed it to A Dong Silk to get the process going. The people there were all very helpful, and when we returned the next day they had garments ready for us to try on! 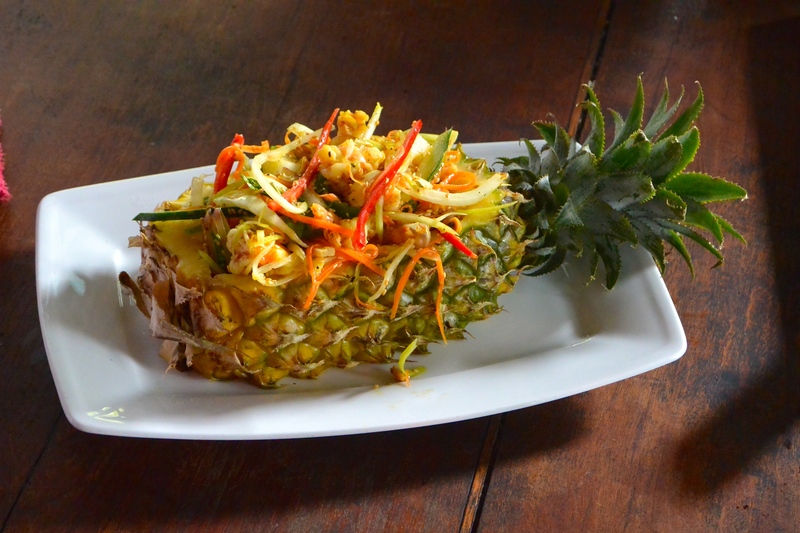 The rest of our time in Hoi An revolved around food. One of our bucket list items for the trip was to try a cooking class! Lonely Planet recommended the Red Bridge Cooking School. We did the half day tour, and left absolutely stuffed, having had a wonderful time! The one downside was that it was challenging to hear the guide the whole time during the market tour as the group of 8 was a bit large to fit between all the stalls. Highlights included learning how to make our own rice paper, and interacting with older travellers, hearing their stories and words of wisdom! 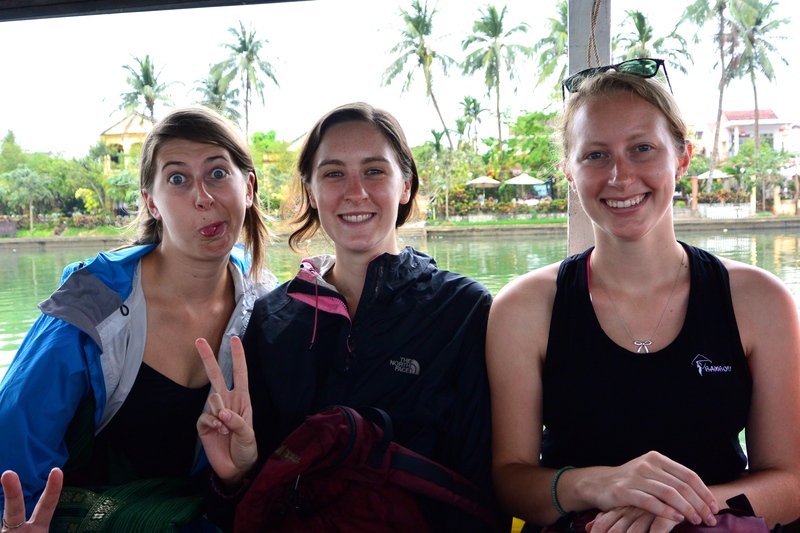 We also got a ride on the river to the cooking school and back. We were also lucky enough to be treated to dinner at Mango Rooms. The ladies all got dressed up in our finest, put on some makeup (while backpacking, makeup makes something a REAL occasion), and feasted on tuna ceviche, duck breast, and red wine. The last food/drink stop I would recommend is the Reaching Out Teahouse, which employs deaf people. The teahouse has devised a clever system of communication, using small blocks with words written on them. The teahouse has a beautifully silent atmosphere, peppered with whispers and the occasional giggle. 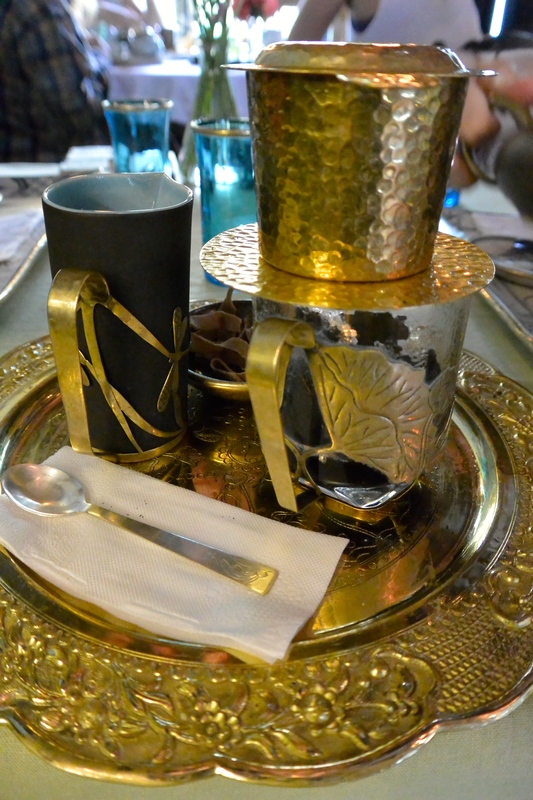 I had some fantastic Vietnamese coffee, in the most beautiful gold and glass drip set. Its sister organization, the Reaching Out gift shop, sells beautiful jewelry, ceramics, and gifts that are handmade by other employees living with physical and mental disabilities. The shopping available in Hoi An is amazing. I wanted to buy everything! There are beautiful silk scarves, pretty good fake designer bags, and more chopsticks than you could ever use. Hoi An is a truly beautiful city and I was sad to leave. Have you ever been to a foreign city that you just felt comfortable to you? 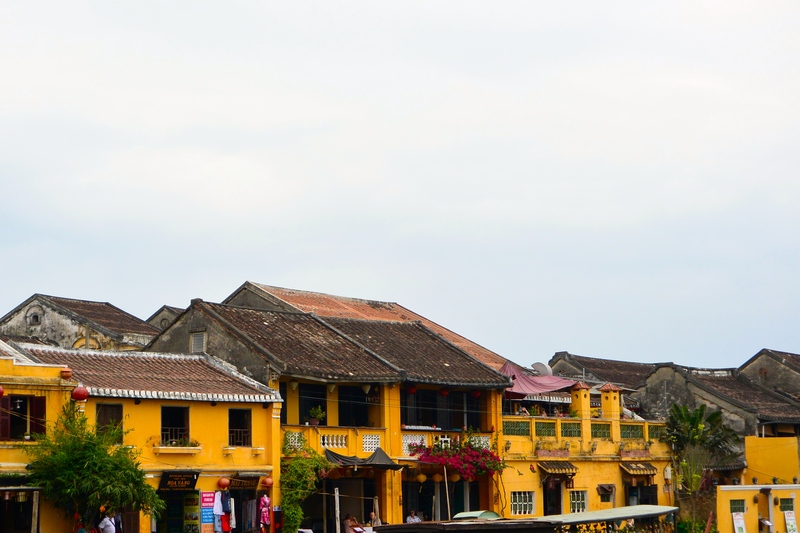 Hoi An was one of those places for me. The laidback atmosphere and ancient beauty set just the right tone.